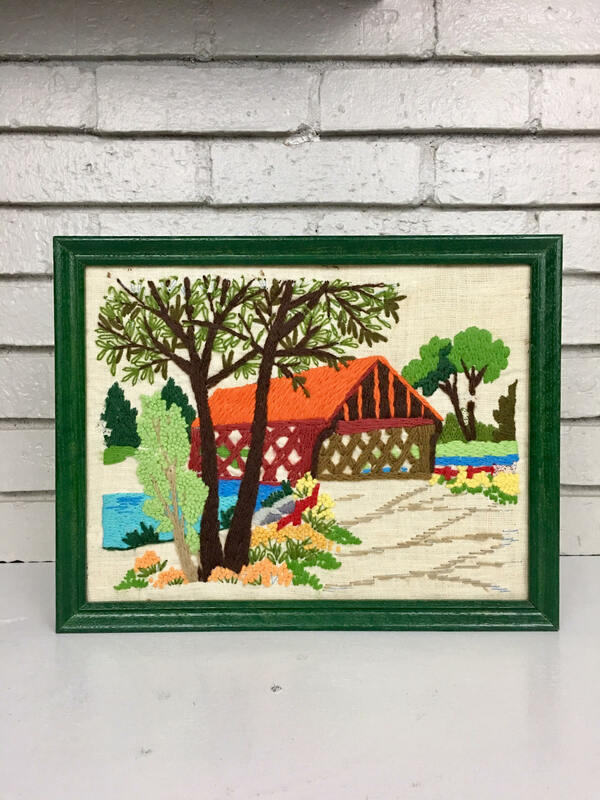 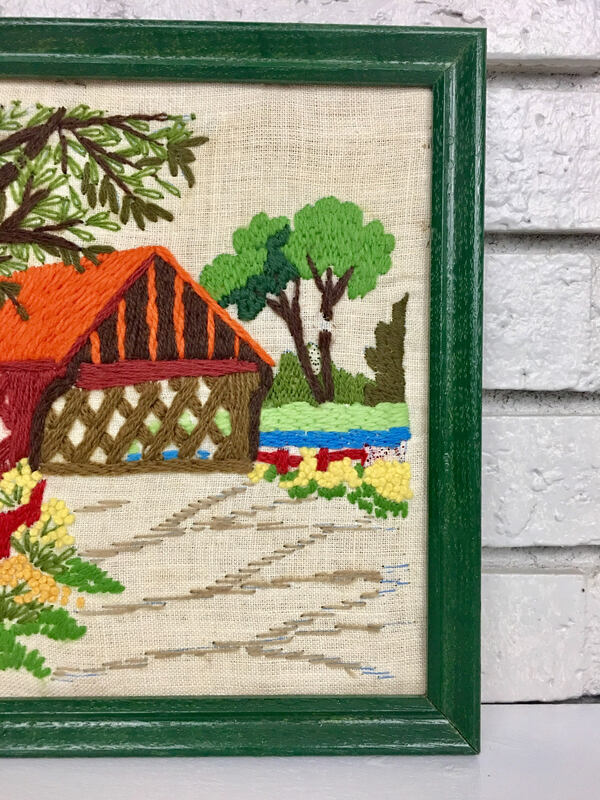 Vintage crewel work featuring red, orange, brown, yellow, blues and tan framed in a glossy emerald green. 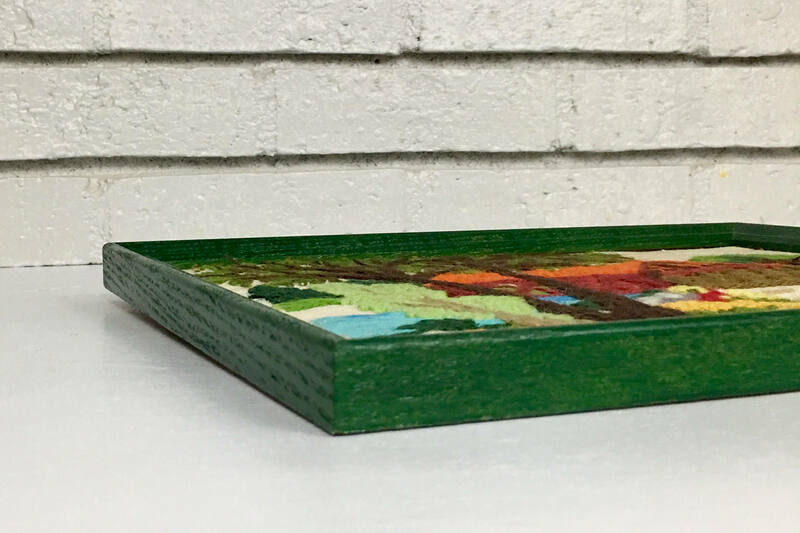 I love the bright color of this piece of original art. 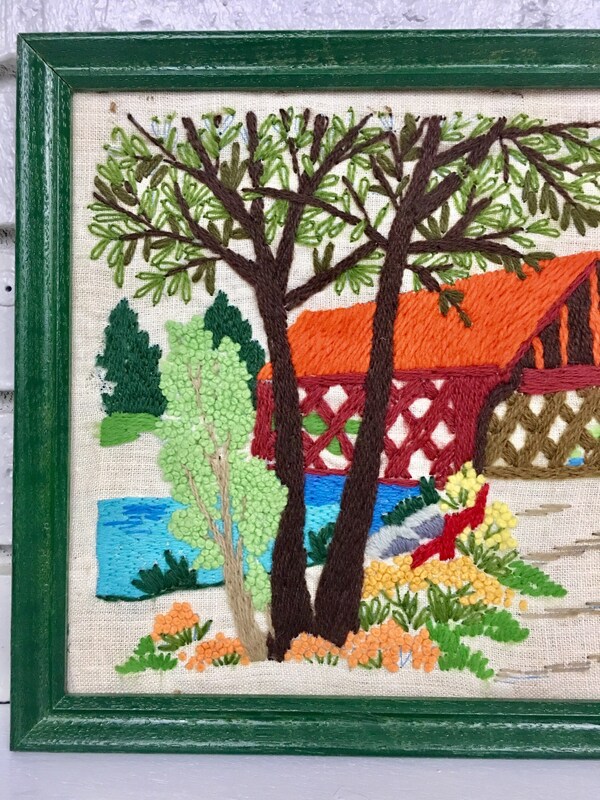 There is one small part of the tree that has begun to come out, as detailed in the above pictures. 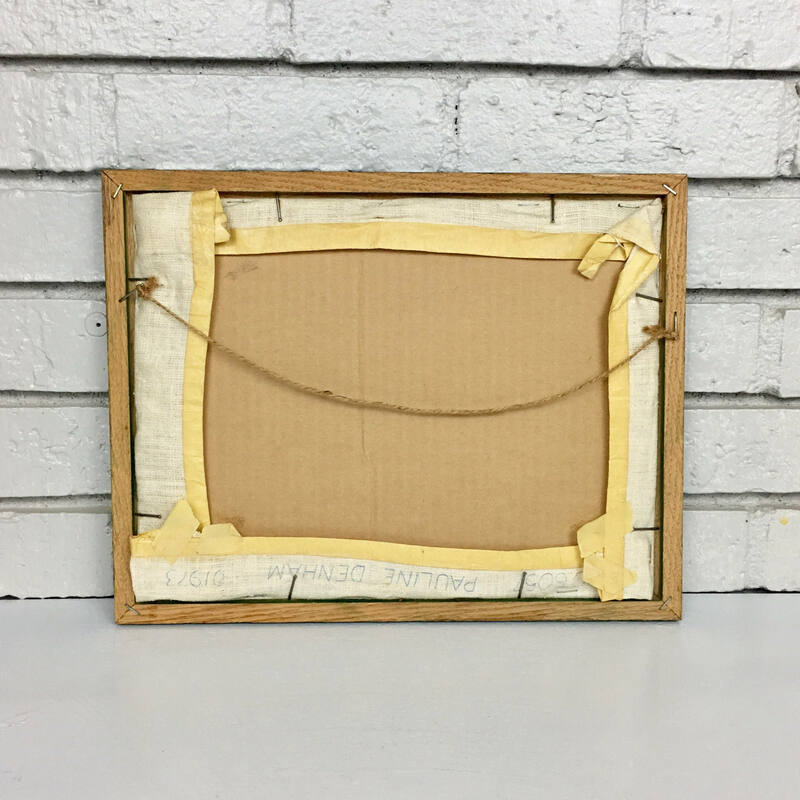 There is a string on the back ready for hanging. 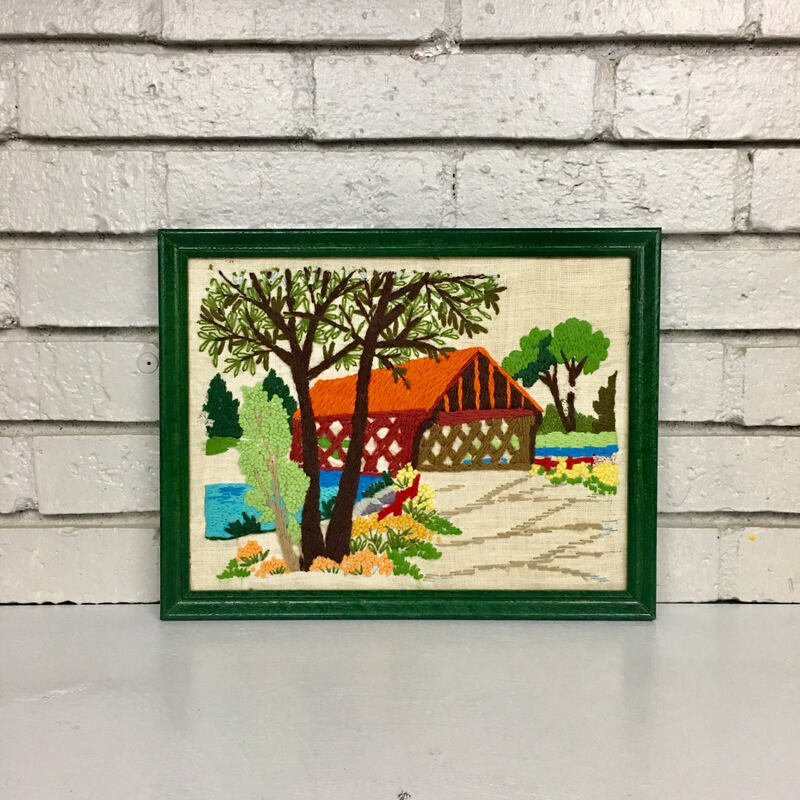 This framed work will look awesome in a wall gallery, providing a fun pop of color.